Starting tomorrow, June 7, access to hangars at the airport will not be available via “Gate A” (shown in yellow on the map). 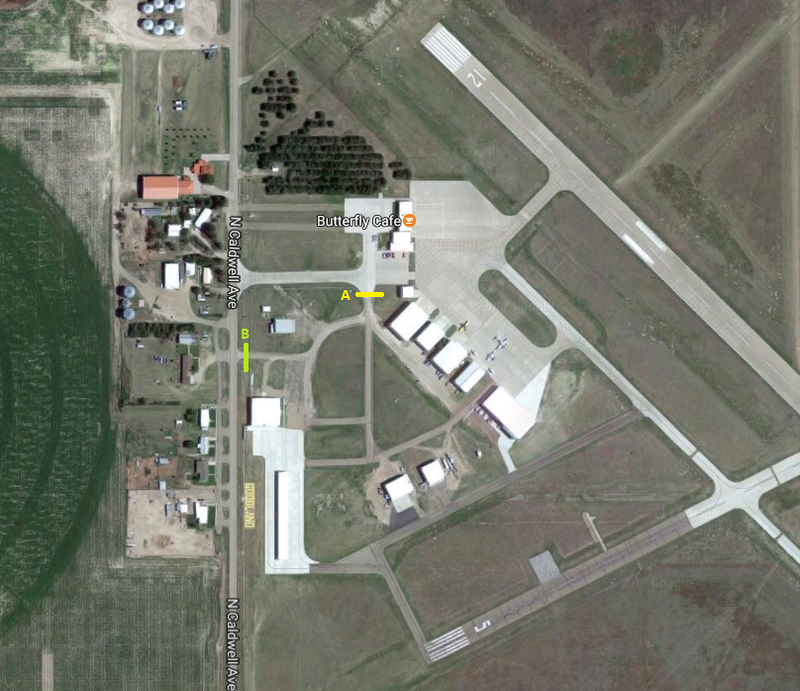 Instead, we will be opening up “Gate B” (shown in green on the map) for hangar access directly off Caldwell. This will be a temporary disruption as we accommodate new hangar construction at the airport. Signage will also be displayed to assist with traffic direction. Access to the main terminal and the Butterfly Café will not be disrupted in any way. We appreciate your patience and apologize for any inconvenience. Please direct any questions to the City Manager’s Office at 785-890-4500.